I'm all alone this week and I don't like it! My job forces me to travel all over the country. I miss my girls during the weeks that I am gone. My man Omar is always with me, though. That helps me feel better. Not this week!! I am running an event all by myself. No Omar, no girls... I am afraid I'm going to go crazy. It's nice sometimes to have alone time. Relax, read a book, take a nap. But this is way too much alone time! I'm a pretty independent woman normally. Being in a different part of the country than all of my loved ones is making me feel a little weak! I have a very full work load for the week. My schedule is crazy. 9 am to 9 pm. I guess it's a good thing because it should help keep my mind off of the loneliness! Do you like your alone time? How would you feel being in a strange place all by yourself? Great question. I think, as long as it didn't happen too often, I would take the time and enjoy myself. I'd use those extra few hours to get reaquainted with myself. All too often we worry so much about others that we forget about being an individual and doing things we like to do. I've found over the years that if I remember "me", without being all about me, people enjoy my company more and I feel the same in return. 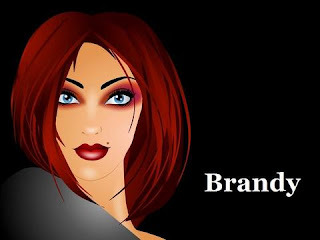 So, lonely, yes, but take the time anyway and do something just for Brandy! Hi Brandy, Sorry to hear you are all alone. I enjoy my alone time, but don't know if I could handle days of it. I would miss my girls too much. Stay busy and you will be back with your loved ones soon. Wow, good topic! I do very much enjoy my alone time, perhaps a little too much. It's been said about me that I could be all alone in a room full of people. I guess it started when I was much younger and didn't have a lot of friends and was picked on a lot because of my disability (Spina Bifida). I kind of developed a general dislike for "society", whatever that means, but not to the point that I couldn't see the good in people and appreciate the friends that I did have. As an adult, the aloofness and loner mentality I developed as a defense mechanism is now a permanent part of me. I do think about my family and friends a lot, but I'm not physically around them or on the phone with them as much as most people would be. Does it bother me? Sometimes. As far as being in a strange place all by myself, I think it would bother me some, but not so much because I would miss having loved ones there with me, more along the lines of not having someone there in case something went wrong or I needed help with something. Brandy, do you have any sort of keepsake that you can carry with you at all times that would remind you of your loved ones? Maybe something along the lines of a necklace or ring with the birthstones or names of everyone on it? I could see the being worried about no one around to help if something went wrong. I've thought of that myself. I don't have very much for keepsakes that I carry with me. I have their pictures and I talk to them every single day. My littlest gave me one of her stuffed animals for my birthday and told me to take it everywhere with me, so theres that. I love alone time and even in an unfamiliar place. Stuffed animal for company helps. I always take one with me for comfort. Brandy, bless your heart, it must be really hard to be away from your girls like that. I really sympathize. Admittedly, I love my alone time because I can get things done with no distractions. What can you expect from a woman Barb calls 'Hermit'? But if I was away from my family for very long at a time, I'd go positively stir-crazy! Sounds like you have a rigorous schedule at least - so you won't have as much time to feel lonely. Have you ever considered getting a webcam for your laptop/computer? If the girls also had one you could talk and see them at the same time. IMO, it's much easier than using the dinky cam on a cell phone. I have a webcam on my laptop, but unfortunately the girls' dad doesn't have one they can use. It would feel so much better to be able to see their beautiful faces. Maybe I should get one for his house. Looking at the question, I can't help but wonder to myself (Because I do it a lot).....How would it be if you were forced to spend an extended amount of time (say many years) -only- being around the same few people (either immediate family or closest friends). No contact with anyone else at all. Not very realistic I know, but hey. Interesting discussion here. Sorry I can't participate much. On a severe writing deadline, but wanted to skip over to see what was on your mind, Brandy. First of all, major hugs on being lonely and for those long work days as well. As for the webcam... seems like a good solution or at least one that will ease the sting. Bonus that your laptop has a a built-in webcam. Even though he doesn't have a built-in webcam, 'J' does have a computer, right? He can buy a mini web cam that clips to his computer and plugs in via USB port. (I think that's what it's called). Steve got one for my old laptop. Then you can both dwnload a free service called 'Skype'. When Steve and I are apart for a week or so, that's how we coorspond. That way we get to SEE each other while we're talking. It's pretty darn cool. Oh, and stuffed animals help too. :) Hang in there! Omar and I use skype when we are apart too. It is definately better to see each other's faces. Now that you guy have me thinking about it, I think a web cam will be my next purchase for the girls. They'd love it! Being with the same few people always... might not be too bad if it's the right few people. Would we run out of things to talk about? Being with the same few people all the time might not be too bad if it's the right few people. Would we run out of things to talk about? Great! Now it shows up!!! That's true, Brandy. Who the other people are would make all the difference. Sorry you are alone this week. I don't think I would like that much either. I like to be alone when I clean. I crank up the music and get so much more done when I'm not being bothered. Right now I'd take any sort of time. I have no time for anything but work, work, more work, and then a little sleep! Hope your week goes quickly!